Hi, I need colour cartridges for my Samsung SCX-4500W printer. Please can you give me a price for these? The Samsung SCX-4500W is a black and white multifunction printer so it doesn't accept colour cartridges. You can only use the black Samsung ML-D1630A toner cartridge in the SCX-4500W printer as listed above. I have two empty Samsung SCX-4500W cartridges here, do you refill them and, if so, how much? We do not refill cartridges. However, we do sell both compatible and genuine cartridges for the Samsung SCX-4500W printer. I can't see the model number for my Samsung printer on any of the lists. The model number is 'SCX 5115'. Please can you advise which is the best toner cartridge to buy for it? Thanks. Do you fear that replacing your Samsung SCX-4500W laser printer toners will set you back lots of money? You'll never have to get worried about how much you'll pay to buy Samsung laser toners with our company. It'll no longer be necessary to waste time to look Samsung SCX-4500W cartridges locally and wind up having to pay far more. Buying here will help you to lower your expenses and enjoy the very best service. You can get comprehensive peace of mind when you place an order for replacement Samsung SCX4500W toner with Cartridge Save courtesy of our cast-iron thirty day cash back guarantee. Don't forget to take into consideration that each order comes with 100% free delivery, usually delivered following working day. The Samsung SCX-4500W is a great multifunction printer that can meet the requirements of a home office or a small business that seeks print speeds of 17 pages per minute. This laser monochrome printer can also print, scan, and copy. The Samsung SCX-4500W effectively outputs resolutions of up to 1,200 x 1,200 dpi when printing and copying can be accomplished in less than 15 seconds with a copy limit of up to 99 copies. A Colour CIS scanner can scan in an enhanced resolution of up to 4,800 x 4,800 dpi. The Samsung SCX-4500W is designed in a sleek modern enclosure that is glossy black, which fits is well at home or at the office. It is meant to occupy a small amount of space and has dimensions of 33.2 cm in width, 39.3 cm in depth, and 16.4 cm in height. In addition to its small design, this printer is easily transported at a weight of only 8.6 kg. This printer is connected to a computer using either high-speed USB port or an Ethernet cable. In addition, a wireless 802.11 b/g adapter card can allow printing without wires. The Samsung SCX-4500W toner printer can also be installed on Windows 2000, Windows XP, Windows 2003 Server, Windows Vista, Linux OS, and Mac OS X. Samsung SCX-4500W toner can yield up to 2,000 pages at an average 5 per cent page coverage. This printer is also manufactured with a 100 sheet sliding cassette and a 30 sheet output tray. This printer can put out a production level of up to 5,000 pages per month with ease and at 45 decibels during operation is also quieter than most printers. When this printer goes to sleep, sound levels drop down to less than 26 decibels. A great benefit that is provided by the Samsung SCX-4500W is the option to print on plain paper, bond paper, thick paper, labels, recycled paper, and thin paper. Samsung SCX-4500W toner is also low-priced, helping to reduce the cost of maintenance. A minor disadvantage is the Samsung SCX-4500W comes equipped with only a 1,000 page starter toner kit that must be replaced soon after purchase. This printer also lacks any type of LCD display and advanced settings must be managed on a computer. 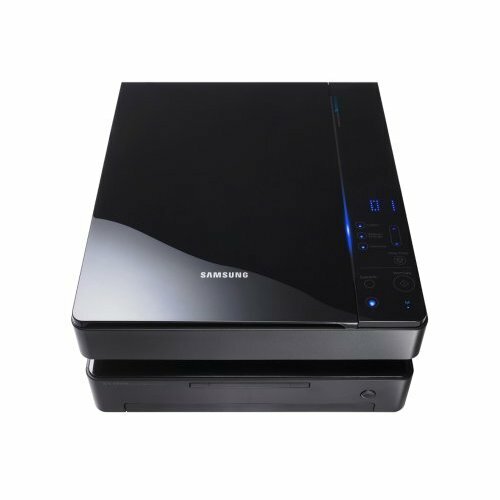 Additionally, the Samsung SCX-4500W may be priced too high for some home users who don't print very often.